Taking advantage of ‘harpitnas’ we spent the weekend in Singapore. 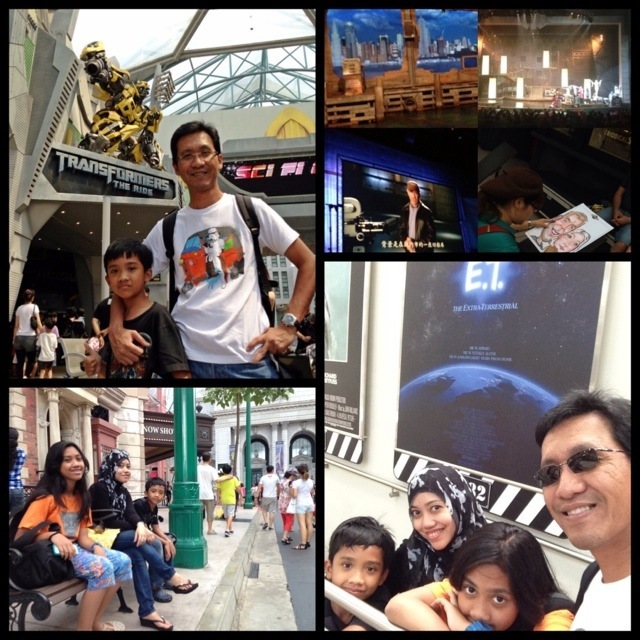 Having promised Rafif to take Transformers Ride after ‘Ujian Nasional’, Universal Studio become one of our destination. It’s the second time we were here (third time for me), so instead of taking the usual, popular rides, we tried the less popular attractions such as ‘Lights Camera Action’, ‘Monster Rock Opera’ or just spend time sitting in Universal Studio beautiful boulevard. Fun tome with family. Previous Post Yeay! We Won! Next Post Mandatory Takeaway from SG?